It gives you an edge that makes your work and home life so much easier. You'll be so much happier if you sync your schedule with your body's hormones. You worked all through lunch and stayed late to get ahead on a project at the office, but were so wiped out you dozed off during your daughter’s recital. You agreed to host a group playdate, then regretted it once the day arrived because you just weren’t up for it. You promised to take the kids to the zoo, but wish you’d suggested staying home and renting a movie instead. Believe it or not, there are working moms who don’t have these problems—they’re cycle-syncers. A cycle-syncing mom knows how high or low her mood, energy, patience and desire to socialize will be today, tomorrow, next week, next month and even next year. To find out, all she has to do is look at her menstrual cycle calendar: During the first half of her cycle (beginning the first day of her period and the days before ovulation), rising estrogen makes her mood, energy, patience and desire to socialize steadily climb. During the second half (the days after ovulation), lower estrogen and higher progesterone make them drop. Armed with this information, she plans her work and family routines to coincide with her hormonal ups and downs (in between pregnancies and when she’s done breastfeeding). You can add in more during the first half of your cycle. Does your kid’s school need volunteers to chaperone a class trip? Did your boss ask someone to step in to help train the new hire? Sure, your schedule is jam-packed from the moment you get the kids up in the morning to the moment you finally put away the project you brought home from work, but during the first half of your cycle, rising estrogen gives you the energy and stamina to do even more when you need to. As a result, try to pack in any extras on these cycle days. You can lighten your load during the second half of your cycle. You have less energy during the second half of your cycle due to lower estrogen and rising progesterone. So, honor your body by sticking to the essentials, saying “no” to unnecessary extras and delegating more tasks to co-workers and your husband and kids. Don’t feel guilty about capping your to-do list. You still do a whole lot every day—and you’ll be doing even more again when the first half of your cycle comes back around. You can pick activities in line with your hormones. When it’s your turn to organize a company party or family game night, you can plan activities you’re sure to enjoy based on where you are in your cycle. During the first half when energy is high, you’ll look forward to anything that gets you moving, such as bowling or visiting the zoo. Throughout the second half, your lower level of energy means you’d prefer slower-paced fun that doesn’t require lots of get-up-and-go, such as trivia night or watching a movie. You can know when to make it a group thing. There are days when you’re happy to chat all the way through lunch with your co-workers, then go home and host a raucous group playdate for all the kids on the block. Other days, you’d like to hang a “do not disturb” sign around your neck and keep social interactions to a bare minimum. 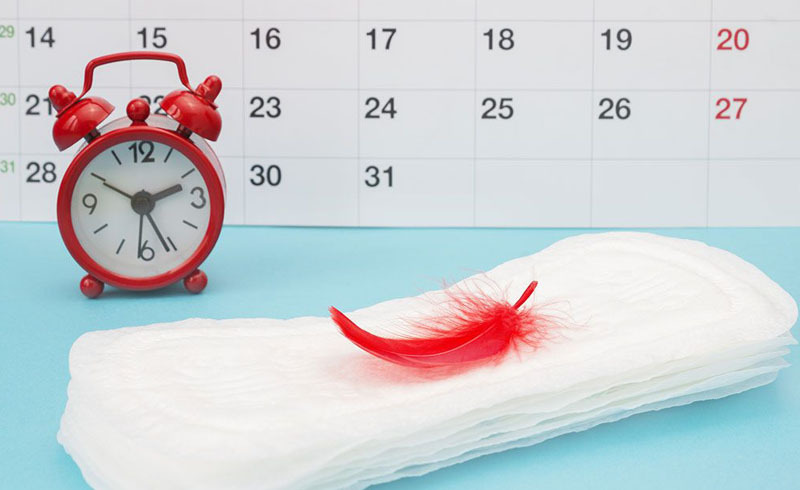 Fortunately, you can learn which days are which by looking at your menstrual cycle calendar. So, line up social activities with the first half of your cycle, when you’re more likely to be up for company. Consider turning down lunch invitations and sending the kids over to play with the neighbor’s children during the second half of your cycle, when you probably long for a few moments of peace. You can shop for meals according to what you’ll be craving. Before you make your grocery list, check where you’ll be in your cycle when planning family meals and work lunches for the days ahead. It’s an easy shortcut that helps you figure out which foods you’ll prefer most: If you’ll be in the first half of your cycle, rising estrogen has you enjoying lighter, healthier meals, such as chicken breast and tuna salad. If you’ll be in the second half of your cycle, elevated progesterone has you preferring homey comfort foods, such as pasta and burgers. You’re still making the foods you and your family enjoy most—but by matching your hormone-fueled cravings to your meals, you guarantee you’ll enjoy what you’re eating. You can recognize that your confidence spikes and bottoms out—and that’s OK. Some days, you know you’ve got this—you’ve perfected the art of the drop-off, created an ingenious solution to avoid backseat fighting and even managed to convince the boss to go along with your great idea. Other days, it can feel like your skills as a mom and professional are total fails. This shouldn’t faze you. A major factor influencing how much confidence you have is the level of your hormones. This insight helps you laugh at yourself when you’re feeling like the best Supermom ever on the days leading up to ovulation, and when you’re feeling like you never get it right on the days before your period. You understand that the truth is usually somewhere in between. You can schedule vacations around your cycle. Before you put in a request for time off, don't only check your work calendar for the ideal time; check your menstrual cycle calendar to make sure your cycle days match up with your plans. Trips requiring lots of energy (such as theme parks and camping) are best during the first half of your cycle; low-key breaks (such as visits to grandparents or the beach) are ideal during the slower-paced second half. Scheduling vacations this way is vital since you’ll get a more-robust reboot before jumping back into your hectic life. You can mentally prepare for obstacles that occur during low-energy days. Sure, you love the convenience of planning your work and family life around the ups and downs in your cycle. But what happens when life doesn’t cooperate, when the big presentation or family camping trip falls on a low-energy day in the second half of your cycle? Don’t sweat it. By being aware of your hormonal effects, you can see the you can prepare for what's ahead rather than being surprised by it. As a cycle-syncing mom, you can embrace the fact that you have ups and downs due to hormones—and you harness them to help get the work and home life you want.